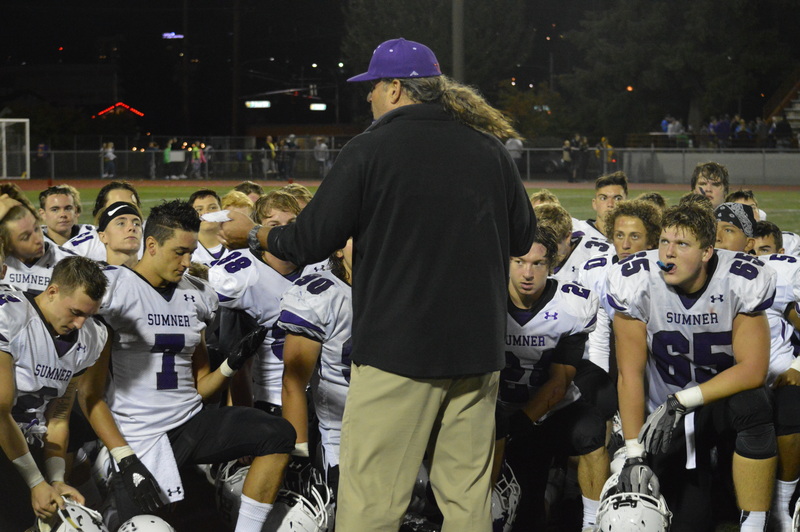 If there is any doubt about the firepower of Sumner this season, their dramatic win in week four against Graham-Kapowsin made a statement about their place at the top of 4A. 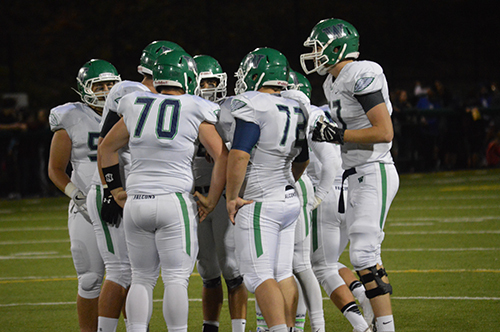 Following a 77 point effort over South Kitsap and a passing touchdown record by Nathaniel Holcomb, Puyallup was hungry to hand Sparty their first defeat of the season. 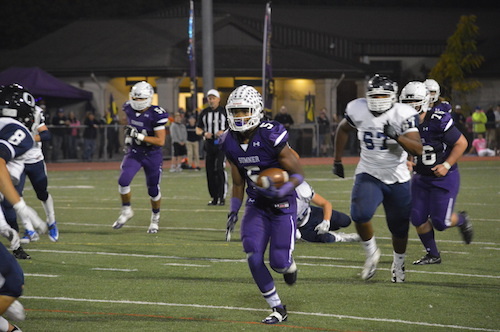 Sumner bolted down the field on the first drive of the contest which capped off with an 11 yard corner route in the back of the endzone which receiver Tre Weed climb the ladder for. The junior wideout finished with 4 scores. 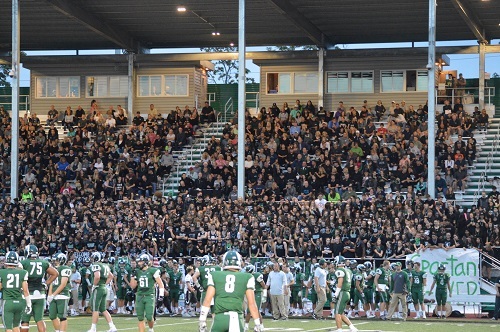 The Spartans scored three more touchdowns before Puyallup found the scoreboard, on of which a 70 yard fumble recovery for touchdown by Alexander Zaragoza. Before the first half concluded, Puyallup tailback Honore Thomas punched in a pair of goal line touchdowns. At 41-14 could the Vikings rally? The contest reached its breaking point early in the third when Connor Wedington busted loose for a 70 yard scamper, unfortunately a penalty negated the score. However, Coach Ross dialed up another run play for the University of Washington recruit on the next snap which he took 63 yards. The scoring for both teams bounced back and forth until the conclusion of the contest, but Sumner had built a massive lead which was never jeopardized. A decisive victory for the 5-0 Spartans was the finished product with a tough Olympia Bears team next on the schedule. Puyallup falls to 3-2 with Graham-Kapowsin up next on the schedule. 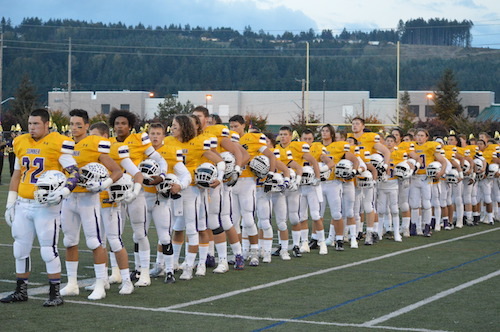 After a breakout season in 2015, the Sumner Spartans are off to a hot start this season as one of the top teams in 4A. Coach Ross talks about some of his big time playmakers including University of Washington commit Connor Wedington and the evolution of the program since he took the helm. 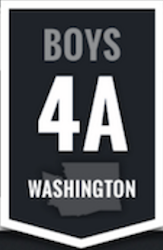 To catch the complete radio interview with Sumner Coach Keith Ross, simply click on the PLAY BUTTON below.